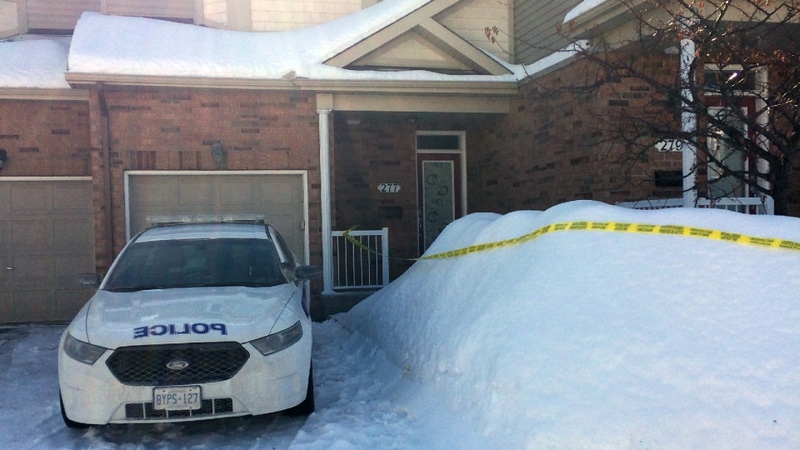 An elderly woman is Ottawa's sixth murder of the year. Police say 81-year-old Maria Desousa was already dead when she was taken to the hospital over the weekend. Now police have charged two people with first degree murder; one of them, the victim’s son. It's not clear when Maria DeSousa died or even how. But police are convinced she was already dead when someone brought her to an east end hospital Saturday afternoon. A police car remains outside a home on Parkrose Private where police say 81-year-old Maria Desousa was murdered. Late this afternoon, they laid first degree murder charges against two people: 40-year-old Paolo Desousa who police confirm is the victim's son and 36-year-old Danielle Leblanc. Neighbours say police cars have been here all weekend long though they had no idea why until now. Gionet lives right next door and says he didn't know his neighbour at all; a man in his 40's he thinks. And adds that he had certainly had never seen an elderly woman there. Police say they had been called Saturday afternoon around 3:30 to an Ottawa hospital for a suspicious death. Staff at the hospital had attended to a woman who had been brought in already dead. All weekend, police were canvassing the townhome complex in Orleans and knocking on neighbour's doors. An autopsy will help determine how and when she died. The why will take a while longer.